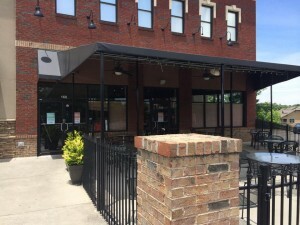 Leading commercial furniture distributor, Restaurant Furniture.net recently teamed up with Maverick’s Cantina in Johns Creek, Georgia to redesign their outdoor patio seating by supplying it with new patio chairs. The patio for Maverick’s Cantina is an important part of its image since it faces the street and is near the entrance to the restaurant’s dining room and bar. The owner of Maverick’s Cantina wanted to update the patio’s image since it is the most visible part of the restaurant. 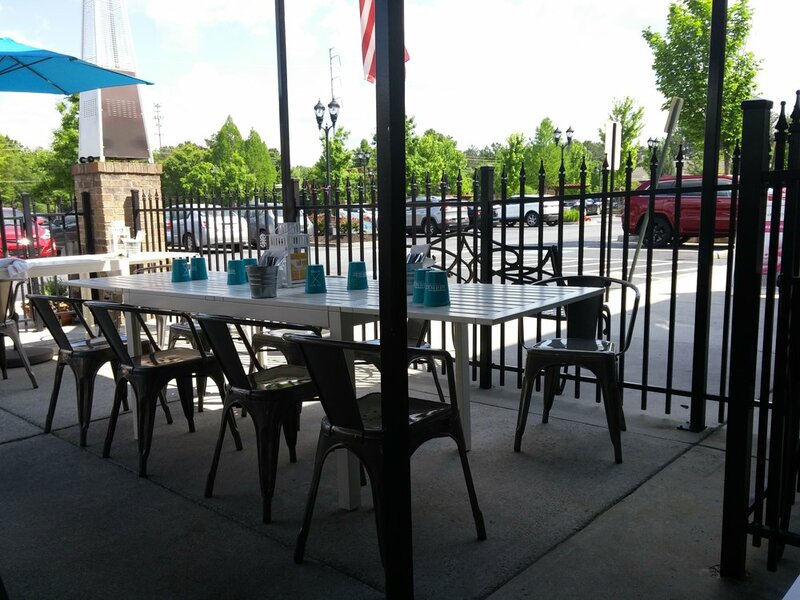 He realized the importance of making a first good impression on customers as they entered the cantina by having quality, stylish patio seating. Maverick’s Cantina had been using black metal patio chairs for its outdoor seating. After many years of use the chairs were beginning to look worn out. The owner was also looking for a patio chair that is more modern and upscale that would give the cantina contemporary look. He was also looking for seating that could be used indoors or outdoors. Most importantly, the owner of the Maverick’s Cantina needed high quality commercial seating that would look great and be able to withstand the high traffic that the cantina experiences on a daily basis. He was looked for quality patio seating that is weatherproof and can withstand the elements. “The owner needed sturdy, durable chairs that look great, but he didn’t want to spend a lot of money”, explained David M. He turned to Restaurant Furniture.net because of their reputation for premium quality and strong built furniture at affordable prices. He chose Restaurant Furniture. net’s Bistro Style Metal Chair in dark grey finish. These high quality commercial chairs are ideal for outdoor and indoor use and fit in with the modern, industrial style he was going for. At only $46, the Bistro Style Metal Chair sells for a competitive price that fit well within his budget. “The Bistro Style Metal Chair is waterproof and rustproof, making it a versatile chair that can be used anywhere, indoors or outdoors”, remarked David, salesperson for Restaurant Furniture. net. The metal chairs come in many different finishes and also come in a matching bar stool which sells for $57. An Extra Wide Bistro Style Metal Chair is also available for extra comfort. “The Bistro Style Metal Chair really helped revitalize the Cantina’s image by giving it a more modern and classy appeal” remarked David. “The chairs are very durable with distinctive design making them the perfect choice for Maverick’s Cantina. 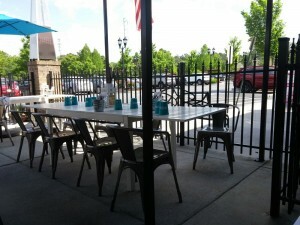 They also match the Cantina’s interior seating which also has Bistro Style Metal Chairs and Bar Stools”. Maverick’s Cantina is located at 11030 Medlock Bridge Rd. in Johns Creek, GA. They can be contacted at: (470) 385-6140.